Say hello to my new baby! I finally got my hands on 70D! 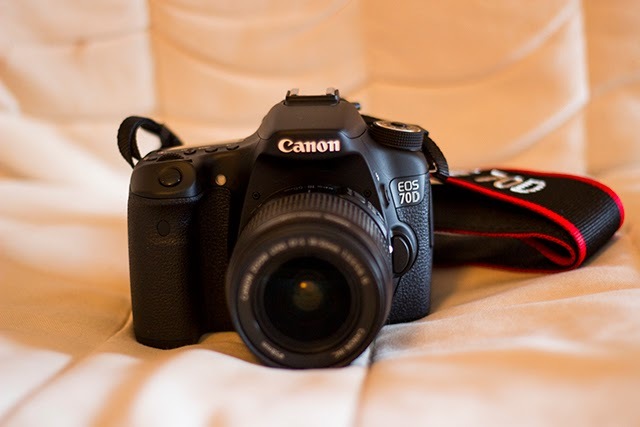 I kept on thinking about Canon 5D Mark III or 6D, but in the end I decided 70D will be a lot better for my needs, as I am planning to make a big step. If you don't already know I been studying Photography, 1st year. I always been into fashion/portraits photography and I am planning to do more work in this area. As well as I might finally start making Youtube videos, this is something I wanted to do for a while, but I always have been unsure about it. I am mostly excited about the flip screen, as my beloved Canon 550D didn't have that option, as well as it's a touch screen! How good does that sound? I am also planning to get my hands on the 60mm Macro lens, as well as the 85mm. Hopefully I will have everything by Saturday. This is the best very early Birthday present from me to me. Getting a new camera is such a great feeling. Have fun!